Afternoon delight: First attempt at a Blackberry Brandy Spritzer. The first day of summer sparked some interesting dialogue around the office. 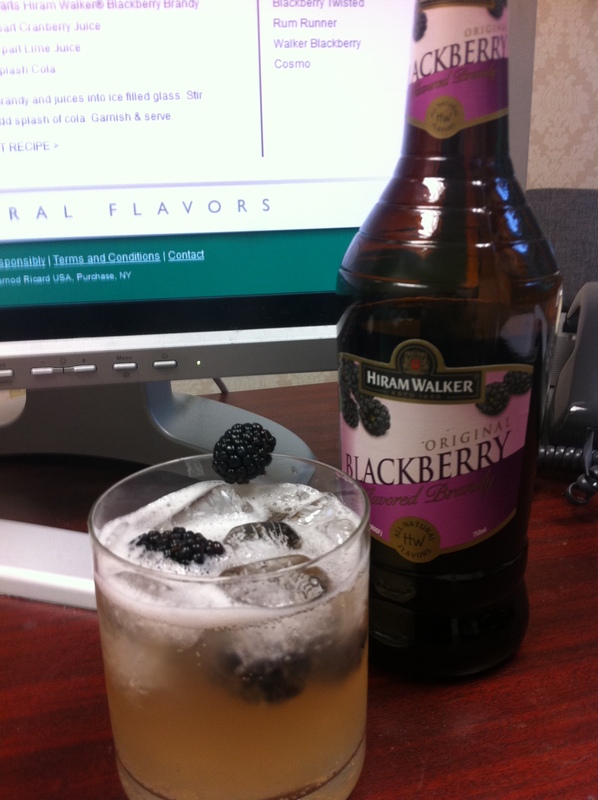 Some conversation on the Hiram Walker Facebook page started up around a recipe featuring the brand’s esteemed Blackberry Brandy, so we were off and running with ideas of our own for a new summer spritzer. Our first attempts found us using Simple Syrup in tandem with the lime juice, but that proved to be far too sweet when matched up with the pineapple juice. Continuing to top off the drink with the lemon-lime soda was ideal, as it continued to draw attention to some of the acidic components that were competing with the deep berry-flavored brandy. 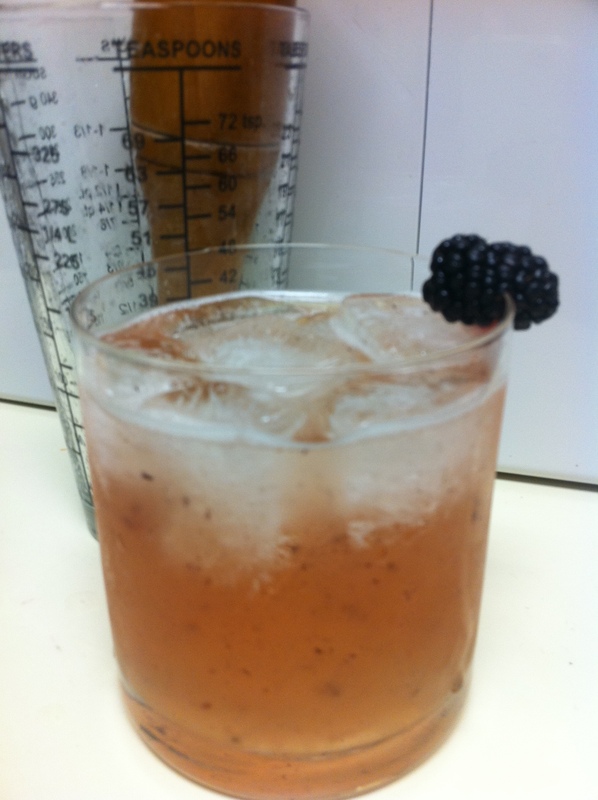 A second version found us grabbing the muddler to incorporate some more berrylicious flavor. really helped to balance the flavors a bit more. I may suggest double straining this cocktail after muddling, but I actually found the specks of blackberries in there to be pretty and whimsical. How would you improve upon this drink? Even if its tendency is to be a fireside sipper during the colder months of the year, I find that Blackberry Brandy does indeed pair well with a variety of fruit juices and it can be an ideal ingredient in a summer beverage. My next inclination would be to try this with some bubbly, a Prosecco perhaps, instead of just the soda. Any of your recommendations or suggestions would surely be welcomed! 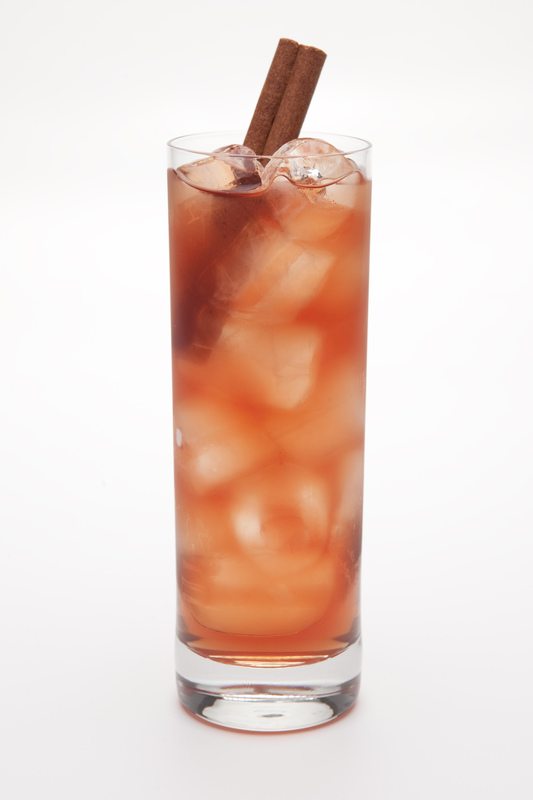 A cool Cherry Libre is a great three-ingredient cocktail for easy making during the warm summer months. The New York Times recently published a fantastic interactive guide to summer cocktails. What was the theme with this slideshow of mouth-watering tipples? All the cocktails, provided by bartenders from across the country, all contain three or fewer ingredients (visit the web page to see more about their rules and exceptions). The premise is so simple, and one I have qualified before on this blog – you do not need a lot of ingredients and complex recipes in order to make a great tasting cocktail. 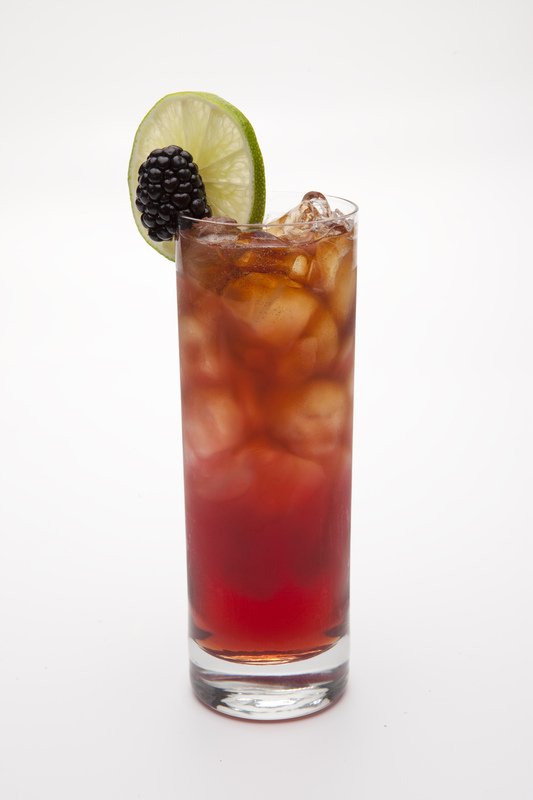 The classic Cuba Libre highball, of which the featured “Italia Libera” cocktail from bartender Chaim Dauermann is based off, is a recipe made for easy tweaking. For instance, let’s offer up another variant that capitalizes on a great fruit flavor associated with summer, the Cherry Libre. Squeeze lime juice directly into a Collins glass. Drop rind in glass; fill with ice and other ingredients. 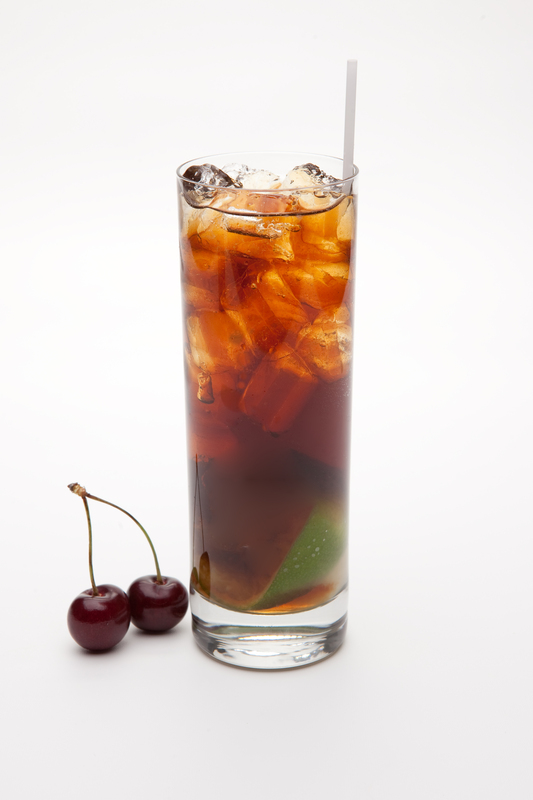 The combination of all natural Kirsch cherries and lime juice offer a tart bite to this cola-filled cocktail. Can’t you just envision yourself drinking one outdoors on a hot summer day? What’s your favorite class three ingredient cocktail? And what ingredients could/have you swapped, just like the Cherry Libre or Italia Libera, to make it a more original drink? Let’s talk about the martini for a moment now, shall we? But, alas, over time and with an influx of new spirits entering the marketplace, the definition of what makes a martini a “martini” has changed. The term has been attached to nearly any combination of cocktails served up in chilled stemware. While judging by the rainbow-colored appearance of some beverages it isn’t nearly an accurate definition, I’m more than OK with using the term “martini” en masse. Rather than scoffing those for ordering the berry concoction on their local watering hole’s cocktail menu, I would prefer to use the term “martini” as a way to segway my friends into trying those cocktails found only in those out-of-print cocktil guides us cocktail enthusiasts earnestly covet and study. I took this same approach on a casual night out recently with a girlfriend of mine; she was looking to learn more about dark spirits and turned to me – and our bartender – as her guide (this particular joint caters to Bourbons). We started our with a cocktail off their beverage menu, imparting such sweeteners like honey, before stepping away from this category and ordering a Manhattan for our next round. She felt she was able to learn so much more about the spirit from this approach, rather than being dissuaded from starting with such a powerful beverage as a Manhattan. The thought to end on in this somehow long-winded blog post is that it’s OK for a martini to be diagnosed with multiple-personality disorder. Here’s a suggested recipe I’ll use from the Hiram Walker portfolio that uses gin – not vodka – as the foundation for its martini recipe and then another option to make your way back to that Gin Martini I mentioned at the beginning. A small dosing of fruit flavor complements the profile of the gin and would serve as a great transitional cocktail back to a traditional martini recipe. Shake over ice and strain into martini glass. Garnish with a lime wheel. Serve in a cocktail glass with a squeeze of lime. And then try that Gin Martini again I mentioned up top. I hope you enjoy this National Martini Day, whatever your martini may be. 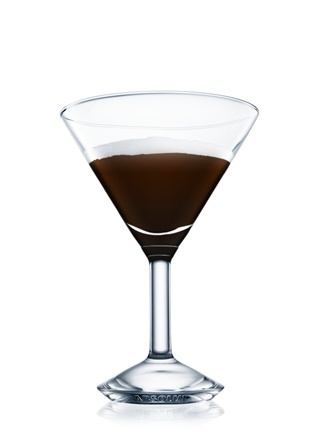 Throw a coffee bean or two on top and you're set for a perfect Espresso Martini! You’ve just finished eating the special weekend dinner you cooked all day long and now its time to relax with an after dinner cocktail. Boozehounds and “coffeehounds” alike (or maybe you’re one in the same, like me!) can sit back and savor this enjoyable caffeinated cocktail, the Espresso Martini. I love the addition of chilled espresso to the already prevalent coffee and chocolate liqueurs. The espresso balances about the sweeter liqueur profiles, perhaps even offering slight bitter tones, making the Espresso Martini well rounded to top off a fantastic evening of eating and drinking at home. Shake ingredients well with ice and strain into a chilled cocktail glass. Garnish with a coffee bean on top. 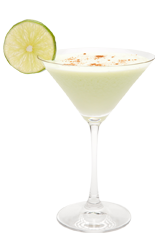 Make sure to check back in tomorrow for one more post as we spearhead our way into National Martini Day on June 19th. I look forward to celebrating with you!